​Modified the camera label on the captured still so it is more legible. Added the ability to specify the location of the watermark and increased the size so it is more legible. Added the ability to run the service as a private service so other ScriptE app users can’t access the photos. 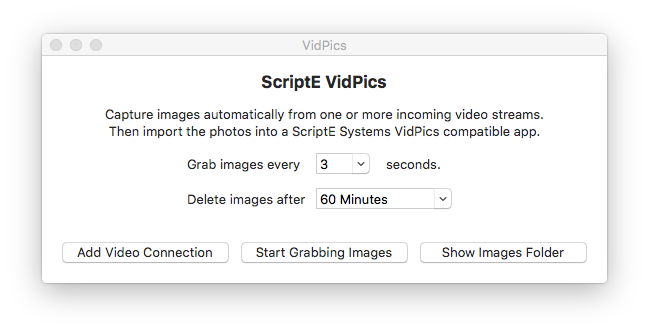 ScriptE VidPics is a specialized application that automatically captures video stills from any HD video signal (at user defined intervals) and makes those stills available for download via wifi to all the ScriptE System iPAD App users on your film or television set. ​Users of ScriptE for iPad, DH Costume, Department Head, and VidPics DP can all access the ScriptE VidPics video stills vault: Just set the still capture frequency, the save duration and attach your Mac to a video source via Thunderbolt cable and Video Capture Device (recommended Black Magic Mini Recorder) and you’re ready to go. 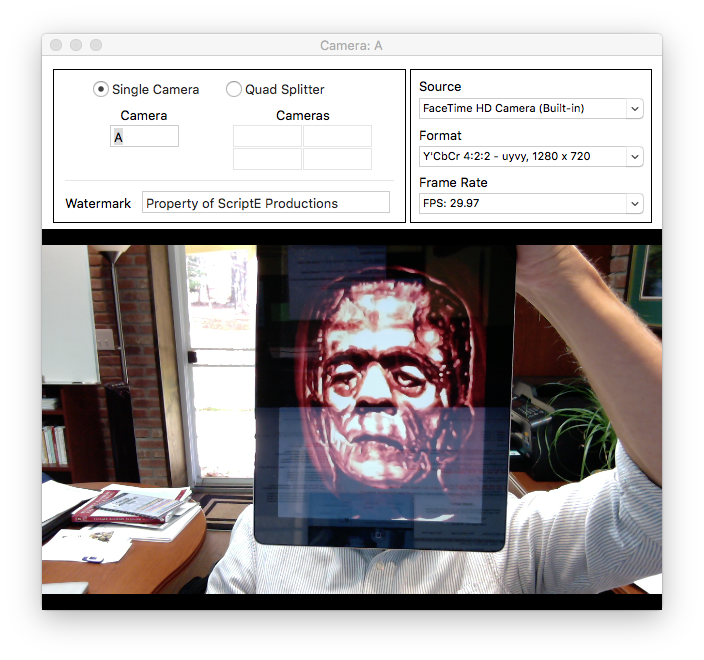 Makes those stills available for download via wifi by all ScriptE Systems iPad applications: ScriptE for iPad, Department Head, DH Costume, and VidPics DP.